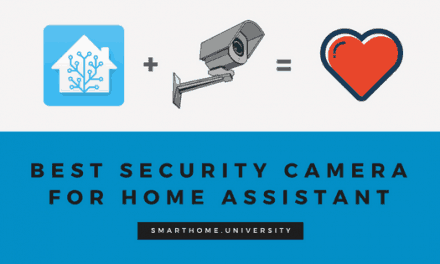 Surveillance cameras are must-have security devices for your smart home. Using Power over Ethernet (PoE) to power your cameras not only simplifies the installation process but makes your cameras more secure and easier to manage. 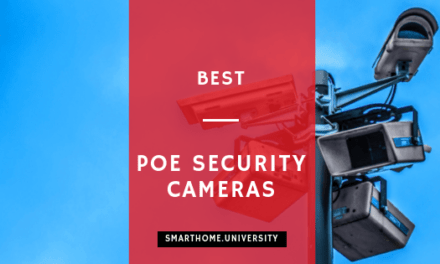 We tested and researched all the main options in the market to give you a recommendation on the best PoE security camera systems available in 2018. 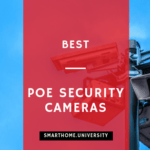 Why you should use PoE Camera Systems? PoE works by combining power supply and network connection into one Cat5/Cat5e/Cat6 cable. PoE can be used to power a number of devices including security IP cameras, access points and even Voice over IP phones. 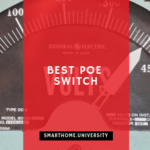 To inject electricity into Ethernet cable you need to use one of the PoE compliant devices either PoE injection that you use on top of your Ethernet cable or have a PoE compliant router that already injects power into the cable. There are not many. One that comes to mind is if you go PoE route there will be another device to a house somewhere and look after. Also in the unlikely case of the PoE power supply failure, you will lose all your cameras while a separate power supply per camera would potentially be more resilient. Cameras in this category are solid working machines but generally have lower resolution. This will be fine if you are installing to cover smaller indoor areas or do not require to monitor fine details. 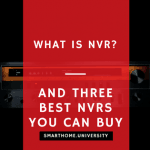 How it stacks up against competition? 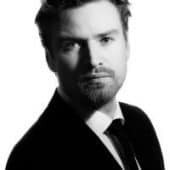 Definition of 1.3 Megapixel 960P Video at 30fps. 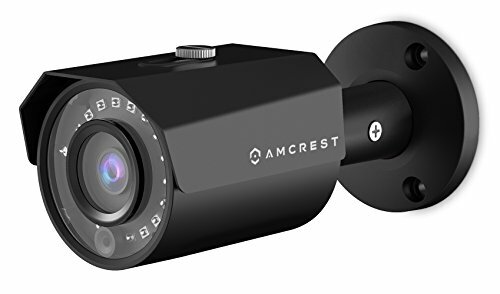 Amcrest Cloud Video Recording Service Available. 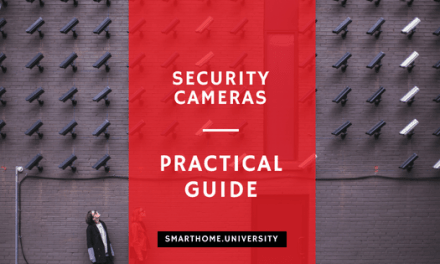 The camera comes with the standard kit and includes a camera itself with the power supply cable for PoE as well as the conventional power supply jack. There are also you have a weather sealed cable and a connection sleeve. It was noted that you won’t be able to thread existing plug through the connector and either cut the plug and install the connector again or buy another connector. Next, you will need to configure camera monitoring parameters. 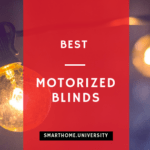 Make sure to set up the motion detection areas, notifications and specify the recording mode. We recommend using SD card slot as the secondary recording option. Using camera is usually more light touch than configuring it. 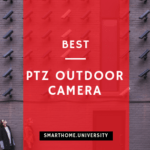 Depending on the preferred way to access your camera you just need to make sure that you configure your phone, NVR or PC accordingly. Armrest Cloud is a good option to never lose the video feed, but it will cost you some money. The current price minimal plan for seven days of recording is $6 per month per camera which includes the unlimited streaming. Mid-range PoE security camera systems have a better video resolution so can be installed to cover larger indoor or outdoor areas. They will be able to provide you with fine details and help law enforcement agencies to identify criminals if required. Our top pick is Phylink PLC-335PW. Phylink is a relatively new hardware brand that is gaining popularity due to the solid quality of the products and great customer service. Phylink PLC-335PW is part of the family of PoE cameras under each price segment with outstanding video quality and well-thought design. 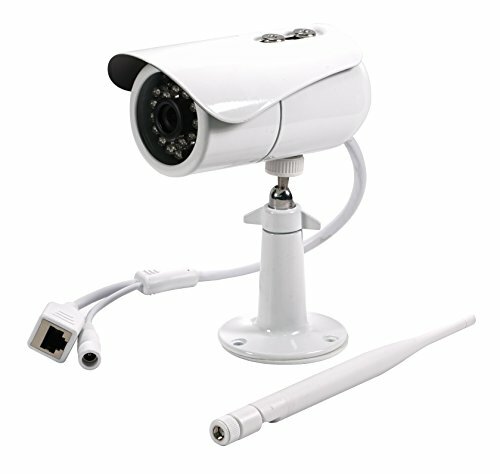 Hardware installation is similar to the process we explained above for Amcrest camera. You will need to ensure that Ethernet cable (and PoE power supply) is provided first. Use the junction box to make sure that the connection is weather protected. Next step is to install the mount for the camera – you need securely attach the mount to a wall or ceiling. The last step is to adjust the positioning and the sunshade as required. Software installation is also straightforward. You can do it by using applications on iPhone or Android or by using the Phylink camera live PC installation application. Wifi connection can be configured using the same applications, or you can use WPS on your router. 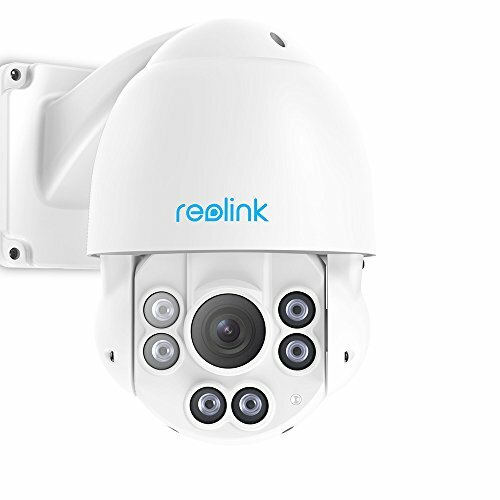 We struggled to justify the bullet camera with the over $175 price tag taking into consideration two options from mid-range above (Reolink RLC-411S and Phylink PLC-335PW). 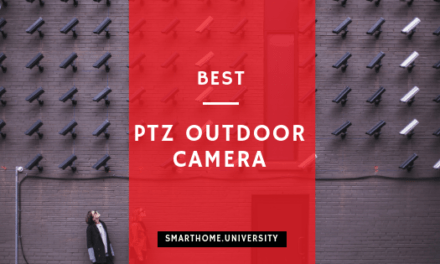 The only viable options in our opinion that worth extra money is PTZ (pan-tilt-zoom) cameras.